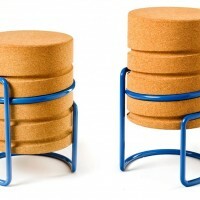 German designer Manuel Welsky has created the SCRW stool. 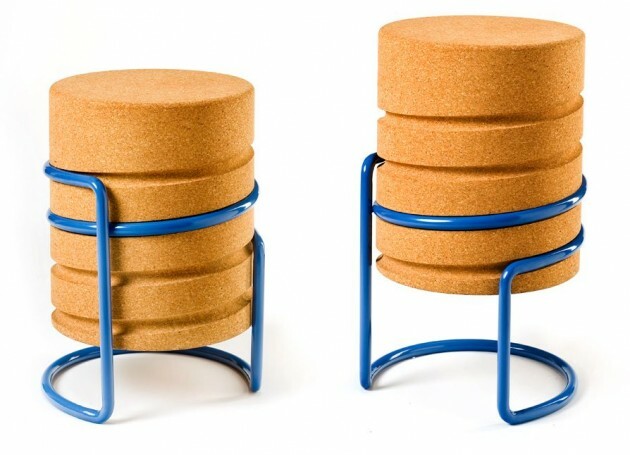 Inspiration for this two-piece furniture was an object from everyday life: The bottle corks. 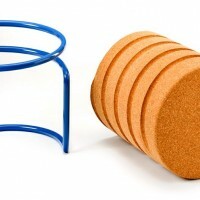 Simple and aesthetically it rotates out of the bottle, and simple and aesthetically should be the principle of “SCREW”. Obvisiously, “Screw” is based on the principle of screwing. The new interpretation of the screw makes the height adjustment self-explanatory and easy. By the apparent leadership of the screw thread, the refined combination comes into focus. 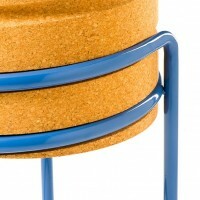 Made from a high-quality steel pipe, the frame is an exciting contrast to the cork material from which the body is made. The massive Korkzylinder is light in this combination and because of its unique features provides a comfortable seating experience. Visit Manuel Welsky’s website – here.